I told myself that I would not take on any more book reviews this year, but this treasure came up for review and I could not pass it up. As soon as I heard about 50 Women Every Christian Should Know by Michelle DeRusha, I knew it would be a great resource to have on hand and also share with my daughter someday. My journal is full of quotes from this book as I was stirred by these fascinating stories of Christian woman from days gone by. I identified with their flaws and was inspired by the fruit of their endeavors. Their imperfections startled yet reassured me; giving me freedom to be human. Their dedication to God spurred me on; pushing me forward in devotion and faith. 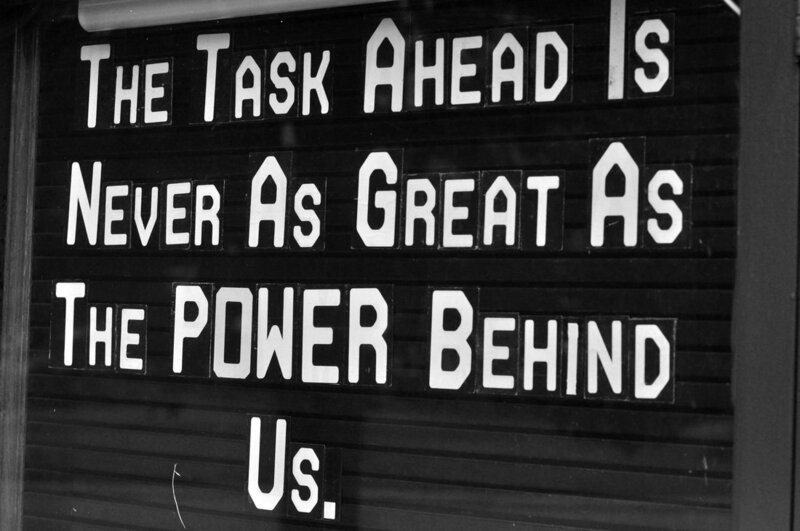 Their trials and triumphs served as an important reminder that God can use anyone willing to respond His call and cause. Some spoke out against slavery while others served as missionaries overseas. Some tended to the sick while others struggled with illness, mistreatment and loss. Some led quiet lives while others lived largely in the public eye. These 50 women proved strong (and “tightly wound”) as they overcame overwhelming obstacles. Many of them were misunderstood as they blazed new trails in their time. Many of them sacrificed greatly and suffered on behalf of Christ. Some struggled to juggle their responsibilities (like Antoinette Brown Blackwell). “[She] may not have perfected the balance of work and home, but she was among the first to venture successfully into uncharted territory…not at the expense of domestic responsibility, but in harmony with it” (pg 179). Some provided a successful model for mothering (like Susanna Wesley). “Realizing that her children might be deficient in individual attention, she established a rotating schedule of evening “conferences,” during which she met with each child to discuss whatever was on his or her mind, from spiritual questions to more ordinary concerns” (pg. 95). This advice holds especially true for today’s modern mother. Pulled in a thousand directions in a fast-paced culture the mother of the western world would do well to emulate the practices of Susanna Wesley. This approach proved true as my daughter and I “conferenced” in circles around the ice skating rink this week. DeRusha writes about women born between 1098-1925, but as I read how many of these women lived counter-culturally, Esther and Mary the mother of Jesus came to mind as well. Did some of the bystanders label these women as lunatics? Esther approached the King without being summoned, which could have resulted in death. Mary was visited by an angel, became pregnant as a virgin and carried the King of Kings in her womb. Throughout biblical and modern history we see examples of women who have gone before us in the Christian faith and paved the way for us to serve Jesus for such a time as this. Their actions were not always well-received or popular, but their efforts and example have made a lasting impact on history. DeRusha includes accounts of women I had never heard of, as well as a handful of familiar faces. With the sharing of each women’s story the reader gleans valuable treasures to take with her on her own faith journey. The common thread throughout this book is the commitment and conviction of these women to stay the course set before them. 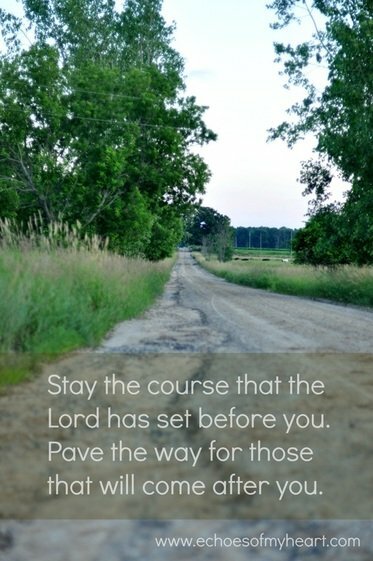 They moved forward in faith, even when the path was lonely and difficult. May we be inspired to do the same. 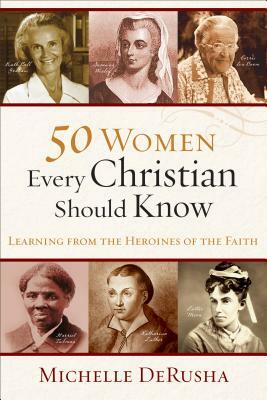 Have you read 50 Women Every Christian Should Know? If so, which woman did you identify with the most? What accounts inspired you in your own walk with God? *I received this book for free in exchange for an honest review via Baker Publishing Group. Michelle’s book is on my must read. If only there were not so many books on my must read list. I am hopeful that the New Year will allow for more time to read. Thanks for sharing this great review, Katie. Blessings to you. Merry Christmas to you and your family. Thank you so much for this thoughtful and insightful review, Katie – I really appreciate it (and I appreciate you!). Merry Christmas! Thank you Michelle! :) Hope you all have a very Merry Christmas too.